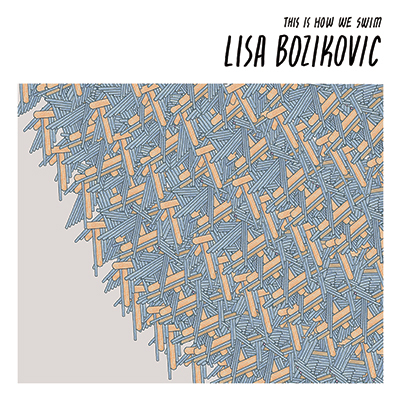 On August 28th Toronto singer Lisa Bozikovic will release This Is How We Swim, the follow-up to her 2009 debut album. The record, co-produced by Polaris nominee Sandro Perri, features contributions from a number of highly-respected local artists, including members of Ohbijou, Timber Timbre, and Snowblink. Those additions help build an ethereal wall around many of Bozikovic's songs. A combination of piano, vocals, synth, and percussion on "Waterfall" appear to be aimed at placing the listener underneath the rush of a cascade. It never quite attains that goal, instead sounding messy and unfocused. More successful is the opener "Light Years", where a soothing tide flows over you. "Midnight Ice" as well wraps you in a swirling all-encompassing arrangement. The stripped down title track and "Misplaced" are among the snoozier efforts. They simply don't have enough meat on their bones to satiate you, nor does the mopey methodical Cat Power-esque "Fever Dream". The lead single "Into the Waves" is cut from the same cloth, however the combination of Bozikovic's hushed delivery and the sombre arrangement make a delightfully eerie pairing. Bozikovic's songs stand out best when they are slightly off-kilter. The funky exotic "No Monument" and the sea sick orchestral closer "Out On the Sea" being the best examples. As beautifully sung as elegantly arranged as This Is How We Swim is, the record is simply too drowsy for my tastes. 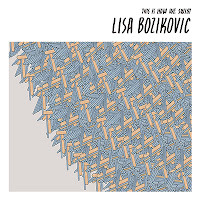 Lisa Bozikovic plays the Music Gallery in Toronto on September 7th. Best tracks: ""No Monument", "Out On the Sea"